Click the play button above to hear the radio version of this post by WLRN reporter Rachel Morello. “We believe it is a cannibalization of all good industries, it swallows up the arts scene, impacts social and community values, and brings lawlessness and more crime,” said Dana Boyte, an activist with the No Casinos Organization. She was among the nearly two hundred people who showed up to the Gaming Committee’s public meeting at Broward College in Coconut Creek on Oct. 23. “We want to educate our people here in the state of Florida…now you’re bringing in more casinos with lower-paying jobs? We’ve been fighting to get high-paying jobs in the state!” Boyte said. A study presented to the committee this month found that expanded gambling would have minimal economic effects. Researchers from the consulting firm Spectrum Gaming Group said this is because Florida is already saturated with gambling. The Senate Committee has scheduled three more workshops across the state - in Lakeland, Pensacola and Jacksonville. 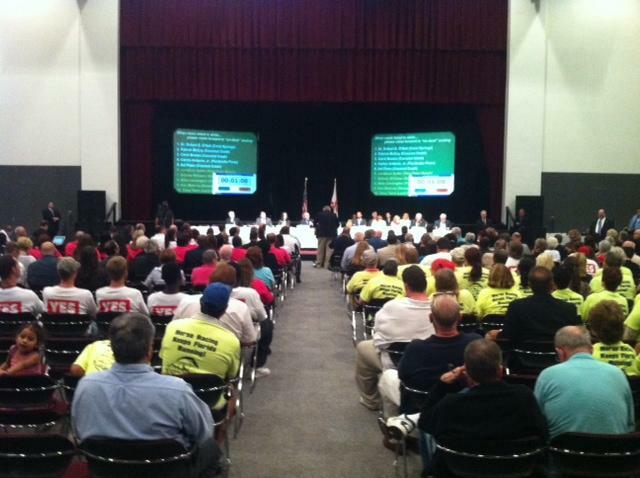 Hundreds gathered before the Senate Gaming Committee in Coconut Creek on Oct. 23 to express their thoughts on expanding gambling in Florida. Click the play button above and listen to this segment from WLRN's hour-long episode, "The Sunshine Economy: Tourism," with host Tom Hudson. The episode is part of an ongoing series examining key industries of the South Florida economy. Shows air Mondays at 9:00 a.m. on 91.3 FM. Legal gambling has brought in millions of dollars to the state of Florida. But it's money that could be at risk if the state does not strike a new casino deal with the Seminole Indians over an exclusive arrangement that limits competition toward certain gambling operations managed by the Native American nation. Out near the Miami Airport there’s a place that used to be one of the hottest spots in Miami. Imagine the perfect mixture of athletics, spectacle, and speed. Jai-Alai. It’s like handball, only you fling the ball and catch the ball with this basket thing. But it's also more complicated than that, and dangerous. But the way Jai-Alai attendance is growing, in seven years ,followers say it will eclipse baseball. 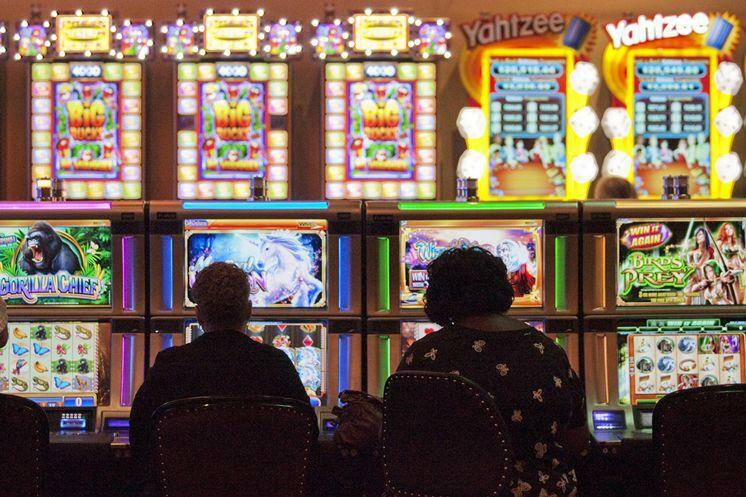 A massive expansion of gambling throughout Florida could boost state coffers by $1 billion a year instead of a $22 million loss previously estimated, authors of a gaming study told a Senate committee on Monday. A Florida Senate committee on gaming will take up the controversial issue of expanding casinos and gambling in the state at a hearing today in Tallahassee. The hearing will include a discussion between elected officials and analysts from New Jersey-based consulting firm Spectrum Gaming Group, a firm with strong ties to the casino industry. The company was commissioned by lawmakers to compile a much-anticipated report on the impact of gambling on economic growth. A study measuring the potential economic impact of gambling casinos in Florida has been delayed a month. It was due October 1. In a letter to legislative leaders, Spectrum Gaming Group requested a new deadline of November 1 to complete the study. Their request came after state economists questioned the economic models used in the report. Playing cards -- even though you hate it. Going shopping -- although you already have a closetful of clothes. Staying home and watching television? Yawn. Golf? Not on your life. Many of the senior citizens who gathered Tuesday in solidarity at Boynton Beach’s Cleopatra Arcade paint a grim picture of a future without their beloved senior arcades.